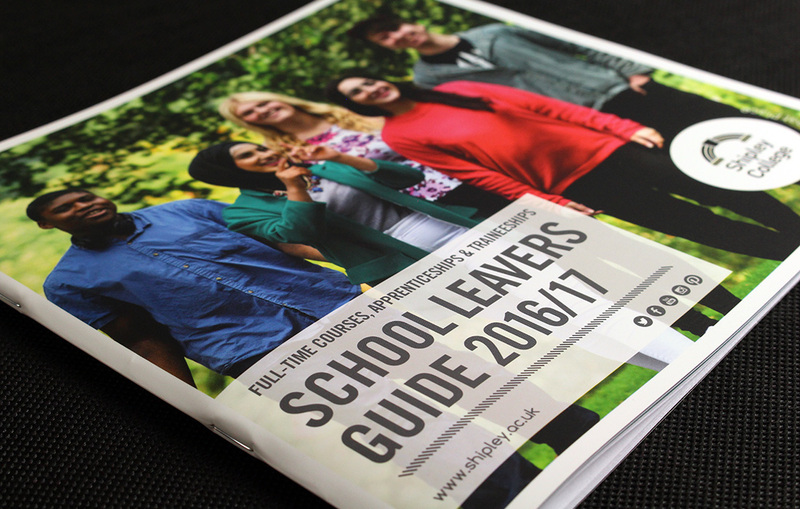 Following a successful tender winning process to the Crescent Purchasing Consortium, one of the UK’s largest educational sector consortiums, and being awarded preferred design and print supplier for a broad range of branded products, we were approached by member Shipley College to tender for the design and production of their Full Time Student prospectus. Over the past 8 years in addition to the annual design and production of their full-time prospectus we have also tendered for and been successful in winning the design and production of their part-Time prospectus and many other documents and branded products. We have built a very strong relationship over the time, and are now the first port of call for each year’s full-time and part-time prospectus. 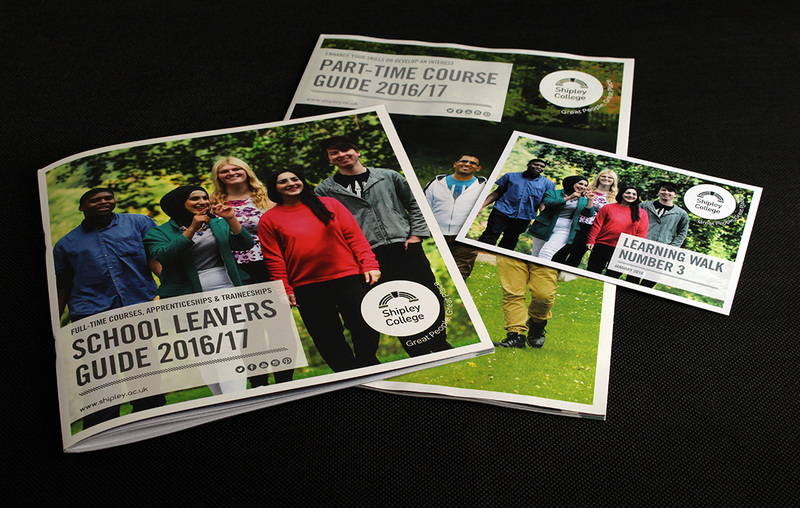 Each year Shipley College require a brand refresh for the next 12 months, this also then involves roll out across all marketing materials; press advertisements, billboards, leaflets, banners, signage, movies and annual reports. Following regular consultations with senior marketeers at the college our teams of designers create visuals that both complement and evolve the brand and continue to appeal to their student age group. The size and shape of the documents often involve careful consideration during the creative process. In some instances, it was initially agreed to avoid standard A4 size formats and instead opt for more interesting shapes. Content for documents is usually provided electronically and includes images and text. First state visuals are created for covers and a general inside page layout. Initially two to three alternative designs are presented for consideration and following slight adjustments and final selection of the preferred choice our design teams proceeded with the layout of finished documents. After presentation of first proofs, as is often the case with documents, a number of authors amendments are returned, actioned, checked in-house and additional proofs returned for final sign off prior to document production. Production of documents involves the processes of lithographic or digital printing dependant on type of product and run length. As part of our complete range of services to our clients within the educational sector our dedicated customer services manager project manages the production processes of documents throughout the process keeping tour clients informed of progress and status at each stage ensure all delivery dates are achieved. 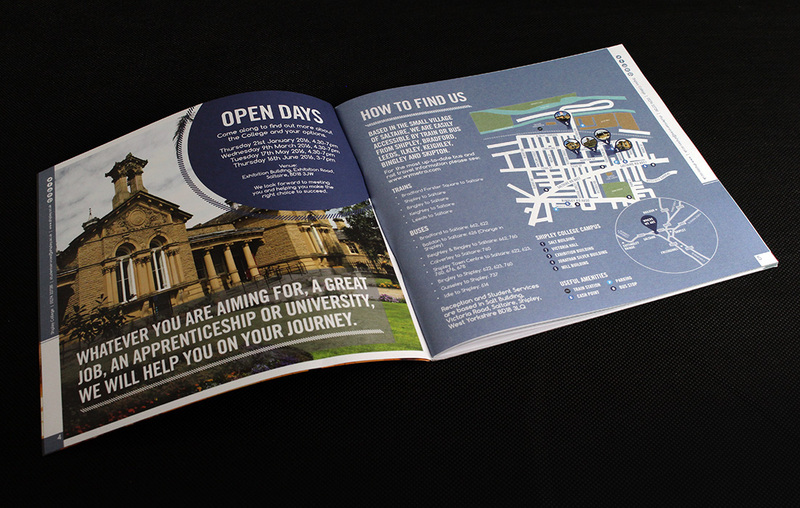 Since our success in winning the design and production of the first prospectus for Shipley College 8 years ago we have seen our relationship flourish with the college. We very much now act as consultants with regards to all brand, design and printing requirements. 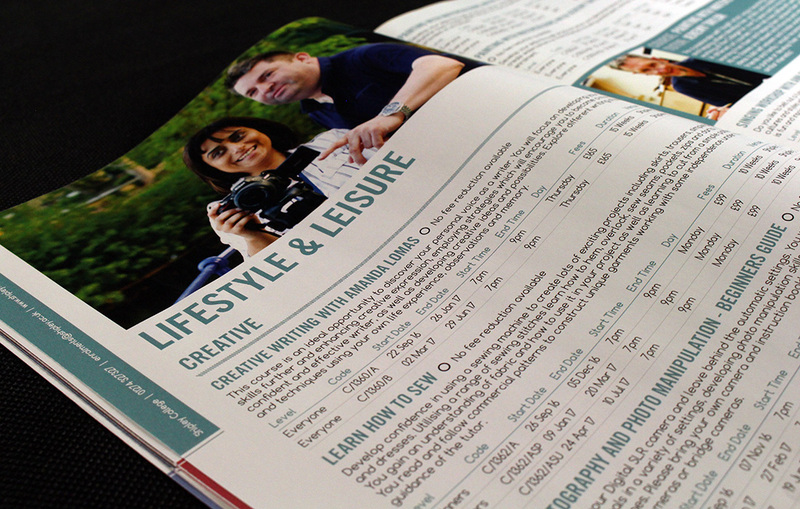 Most recently we have guided and advised the marketing team on their preference to produce their first prospectus this year onto uncoated stocks the result of which has been met with very positive response. 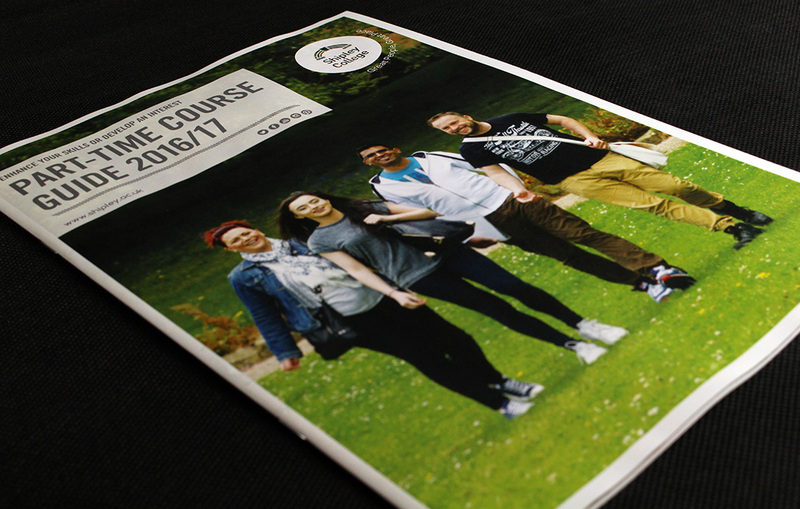 Current projects in the works include course specific showreels that accompany the prospectuses and allow departments to promote their courses on social media with excitement and increase user engagement. We are pleased to be associated with Shipley College and our many other clients within the educational sector.